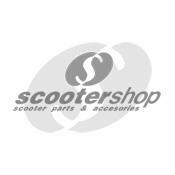 ScooterShop - Scooter parts & accessories » Gadgets » Cabin Trolley Vespa, Hardcase,"legshield vespa", black, plastic, 400x550x200 mm , with lock ,four 360o wheels!!! Perfect gift! !